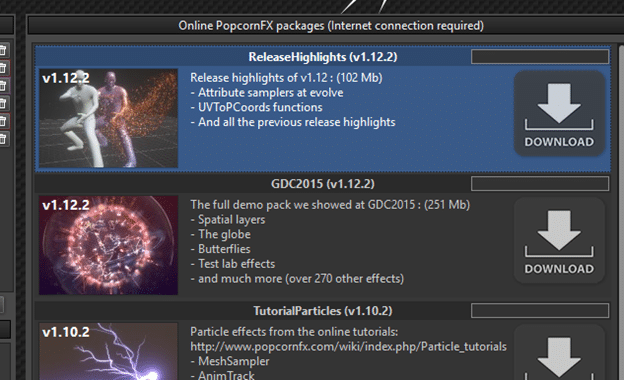 Visual effects can be tricky to optimize. 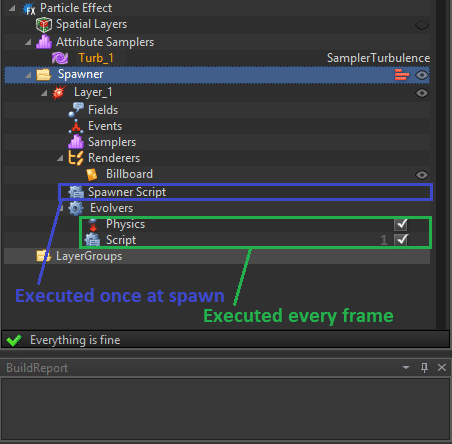 Sometimes you will need a specific behavior which is very costly performance wise and removing some pieces of this behavior for optimization purpose just destroys the whole effect. 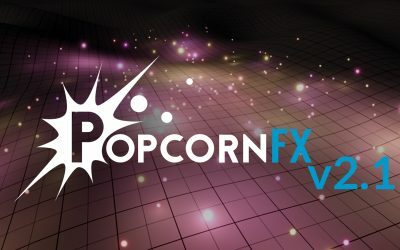 How can you optimize those effects? 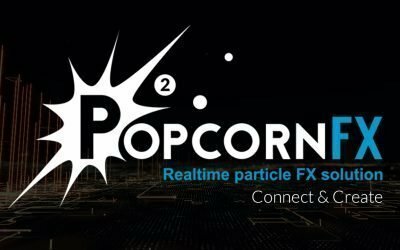 Since PopcornFX 1.12, we introduced custom update rate that allows the artists to change how often a specific script will be updated. In this script for example, the first line which samples the turbulence appears in orange. This means that it takes more time to execute than the other lines of this script. The issue is that if we remove the turbulence sampling here, the effect will behave completely differently. The effect will indeed behave just a little bit differently, but in most cases you won’t be able to see the difference. 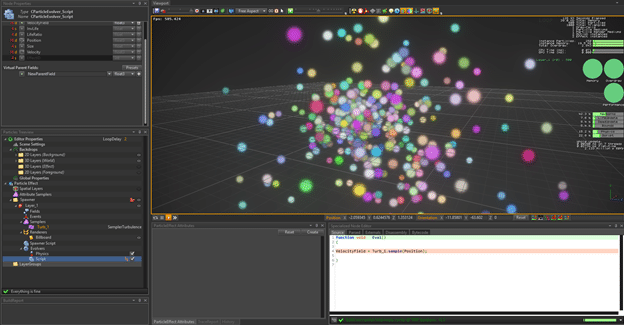 Furthermore, if you have enough particles in your effect, the script will actually run every frame but just for a quarter of the particles, which will avoid a performance spike every 4 frames. 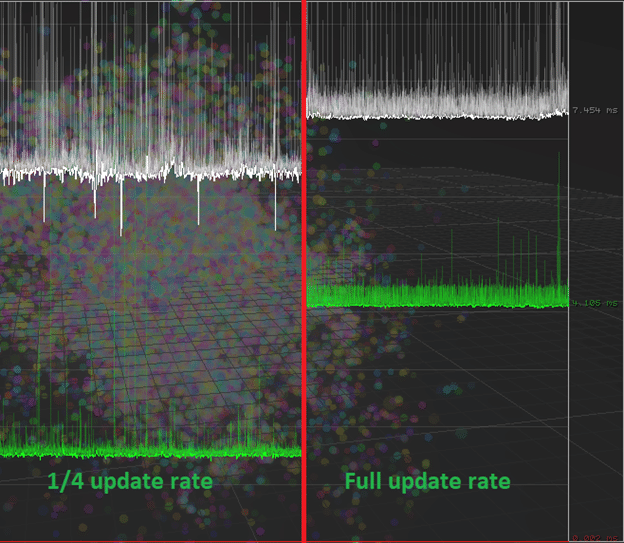 As you can see, there are not more spikes on the quarter update rate than in the full update rate and the CPU execution time has gone from 4.1ms to 1.5ms by changing the turbulence sampling script update rate to ¼. 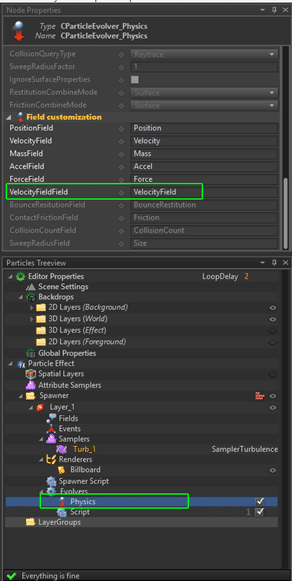 You can add a “VelocityField” field for your particles in which you are going to store the result of the turbulence sampling. 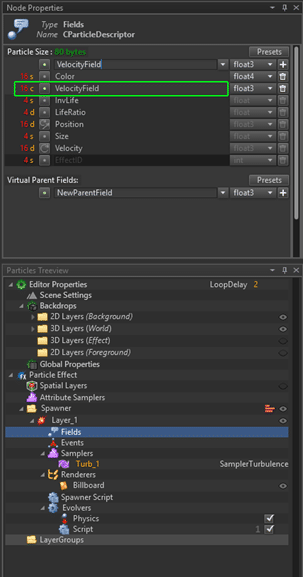 This field will be used by the physics evolver to add some “wind” to the particles (you need to set the name of your newly created field in the “VelocityFieldField” of the physics evolver). You can also use the ½, ¼, ⅛ rates depending on different situations like scene.intersect functions, and anything that is performance expensive. 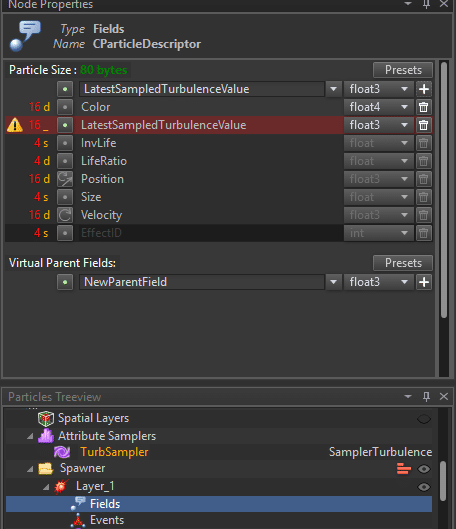 In this case, we only sample the turbulence once and behave as if it returned the same value for the frames that did not update the turbulence sampling script. This might be improved by interpolating between the previously sampled and the latest sampled turbulence in a full rate update script to fake a continuous turbulence. 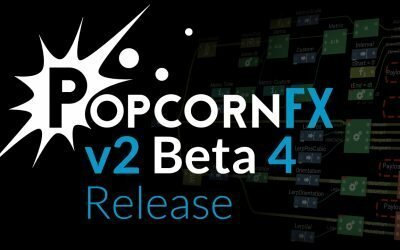 PopcornFX v2 Beta 4 is released!